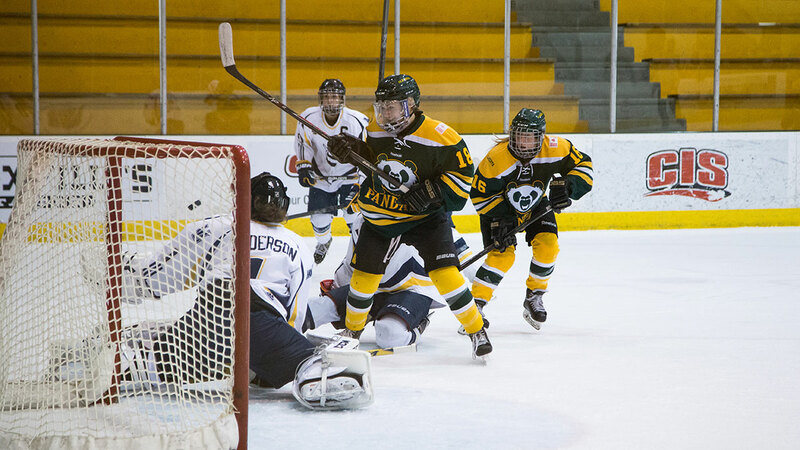 Now in their 20th year at the University of Alberta, the Pandas have already found pre-season success after going undefeated. This fall, the Pandas defeated the NAIT Ooks, the MacEwan Griffins, the University of Saskatchewan Huskies, the Queen’s University Gaels, the University of Waterloo Warriors, and the University of Ottawa Gee-Gees. And have gone on to win their first regular season game 3-2 in overtime against the Calgary Dinos. Last season, the Pandas finished first in the Canada West conference after going 16-9-3. 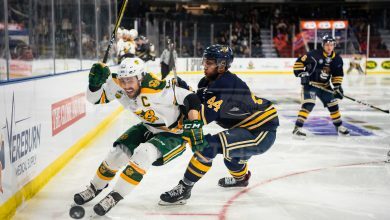 But the team didn’t manage to follow the performance up in the playoffs, and lost in the semi-finals to the University of Manitoba Bisons. Pandas head coach Howie Draper said the 2016-17 crew looks “promising.” Graduating players including Tess Houston, Ali Campbell, Lindsey Cunningham, Natasha Steblin, and Janelle Froehler have all left the roster. Compared to last year’s team, the new Pandas are more oriented to scoring goals and are likely to produce a powerful offence, Draper said. Forward Alex Poznikoff is returning to the Pandas lineup after racking up 11 goals and 16 points in 2015-16 in her rookie year. 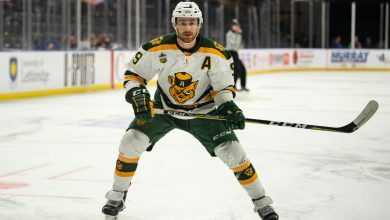 This fall, the Edmonton native continued to command the ice with nine goals in the Pandas’ eight pre-season games, while netting two in the Pandas’ first regular season game against the Calgary Dinos. Poznikoff is the only Panda named on the Team Canada roster to play in Kazakhstan for the 2017 Winter Universiade. Poznikoff is joined by team captain Sasha Lutz, who scored five times and earned a total of nine points last season. Coming into her final season with the Pandas, Lutz is likely to add to offensive play, Draper said. Third-year forward Amy Boucher is also predicted to perform well in 2016-17. The NCAA transfer from University of New Hampshire is a “pure goal scorer,” and found the net in the pre-season along with rookie forwards Kennedy Ganser and Kelsey Tangjerd. This year, the team is considerably younger, with 12 rookies and only six players in their fourth or fifth years. The Pandas are up to 16 forwards from last year’s 12, meaning players will have to compete every week to get on the playing roster. “Hopefully it will push them to work hard and improve their skills,” Draper said.